The day after Thanksgiving is called Black Friday here in the states, but for us, and for all the faithful who gathered at the Basilica of the Little Flower it was a day of light. 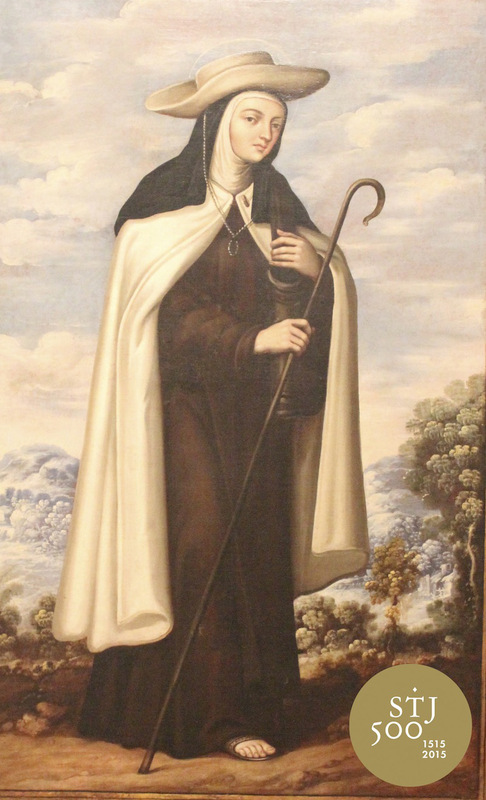 We went there to see the walking cane of St. Teresa of Avila, which is traveling the globe as part of the fifth centenary celebration of her birth. This “pilgrimage” of her second-class relic is called the Camino de Luz, the Path of Light, and it will span six continents and 30 countries before it closes in March of 2015. The walking cane is visiting only three cities in the US, so we are incredibly blessed to have San Antonio selected as one of those cities. I’m sure the intercession of the Little Flower had a lot to do with that. We were given an extra special gift by Fr. Luis – he let us hold the relic! We couldn’t believe it, it was such a blessing for three Franciscans to be so close to the often used relic the great Saint Teresa. This entry was posted in Saints & Angels and tagged Centenary celebration, Little Flower Basilica, St. Teresa of Avila, Walking Cane of St. Teresa by texasnuns. Bookmark the permalink. Here is a link to the route (in Spanish – that’s all I could find) the relic is taking. http://caminodeluz.stj500.com/ruta/ After New Zealand it went to Samoa, and now it is in India. There are still many more stops until the journey is finished in May of 2015.